Mars Labs offers a range of data acquisition accessories to complement the Titan Data Acquisition System. 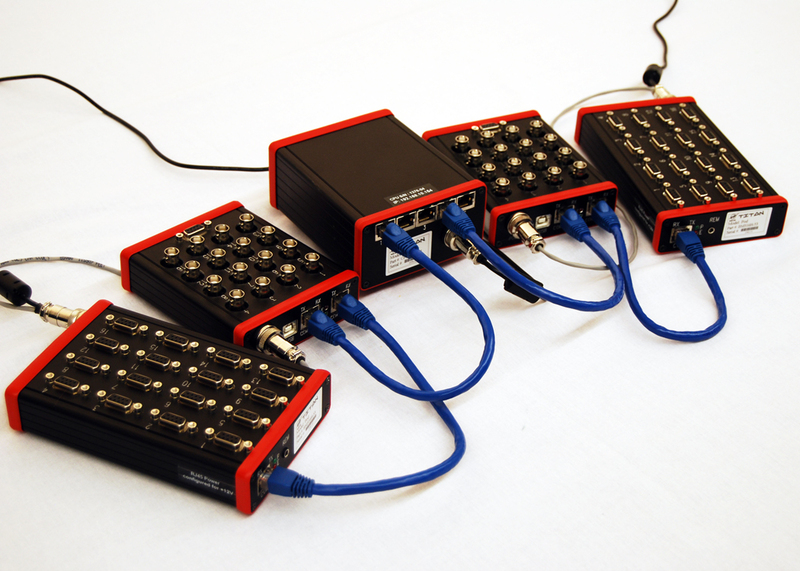 Power accessories, sensor input cables and adapters, and a range of networking cables make it easy to connect Titan Mini-Recorders with Titan CPU and CPX Expander devices to create large channel-count data acquisition applications. With up to 384 channels of sensor inputs distributed over a networked Titan System, it is easy to understand why cables and connectors are an integral part of any test setup. Having the right connection with the right cable length keeps the test bed organized, minimizes setup time, and simplifies troubleshooting.